Transition Town Market Harborough, including the Market Harborough Environment Group – a growing network of local groups and individuals involved with the environment and sustainability are excited to invite you to our first ever planning workshop posing the question: “What can we do to improve the Sustainability of Market Harborough in 2015 and beyond”. We will looking to get your questions and their answers that help us to understand this and plan for what needs to be done. Have you ever stopped to wonder if there is a better way of doing things and why we allow things to continue as they do, have you wondered what the right questions are to get to the correct answers? Have you ever been to a conference, business or otherwise, where the delegates are seated and spoken at by speakers of varying ability? The history behind “Open Space” is rooted in the observation that more networking was done and information exchanged in the coffee breaks than in the business of these events and hence “open space” was devised to create an open and creative space for ideas. It would be great if you were able to have a think before the event about any questions or answers that you would like to discuss at the workshop. We are looking for about 8 topics for the evening, but don’t worry we will go through a brainstorming session on the evening to find the favorite 8. What is going well ? What isn’t working ? What hasn’t been addressed ? Is it possible to do this ? What do we hope to get from this event ? We would like to have some questions and a series of things that we can do as a community to deliver solutions to them. These will help form the projects that you and us undertake together as a community over the next year and into the future. We look forward to seeing you at the Angel Hotel on Thursday January 8^th ready for a 7.30 start, finish by 9.30 . Darren, Mark and the team! Returning for its third year, this workshop sells out every year so book your places as soon as possible. After another amazing year the Transition team would like to wish the readers of this newsletter a very Merry Christmas and a happy, greener, new year! We have some great projects already in the pipeline as well as our volunteers still working with the Sustainable Harborough project, but are there more out there? We are holding a joint planning event with the newly merged Market Harborough Environment group (http://www.transitionharborough.org.uk/?page_id=693) to imagine some new projects and to co-ordinate our activities. We are a community group and so rely on your local knowledge and enthusiasm to help improve our wonderful town. We will be holding our planning event on Thursday 8th January, 7.30PM at the Angel hotel so come and blow away the post Christmas cobwebs with us and help create a programme of events for 2015. All are welcome especially if you represent a group. ** Transition Town Market Harborough [TTMH] and the newly launched Market Harborough Environment Group [MHEG] – with its Love Where You Live and Morsbag initiatives – are two grass roots groups aiming to impact positively on the local environment. In combining resources each has renewed their commitment to working with the community to make a more sustainable Market Harborough. The move – celebrated at the AGM on Saturday – is especially welcome because MHEG – formerly the Harborough Improvement Team [HIT] Environment Group has had a period of uncertainty following the winding up of HIT. 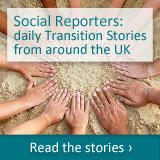 ** Transition Town Market Harborough runs local community led projects to rebuild local resilience and sustainability. 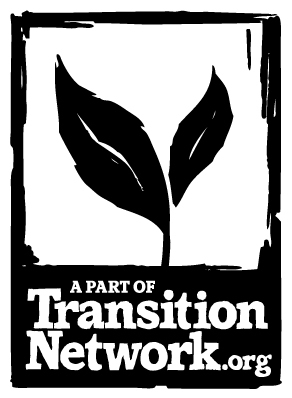 It was founded in 2007 and is the 22^nd member of the Transition Town Network. ** Named after a Keep Britain Tidy initiative. The group promotes recycling as part of its aims. The Transition Harborough organised Apple Day returns for its fourth year on October 11th on the Town Square. The community apple press will be there in action producing fresh apple juice for everyone to try. There will be stalls from the HIT Environment Group, Master Composters and Gardeners and news from edibLE16 local food hub. To make this another successful day we need volunteers to help on the day, to prepare the apple scrattings the day before, to collect wine bottles that can be cleaned in advance of the day and used for the apple juice. Donations of apples before the day would be welcomed. Please contact Gillian Baverstock on gillianbaverstock27@icloud.com 01858 465653 if you can help. The Transition Town Market Harborough Steering Group meets on Sunday October 5th from 7.30pm at Brian’s house on Lubenham Hill, contact us for more details if you are interested. It is an open meeting. Our AGM is due and we have pencilled Saturday November 15th in the diary, the plan is to have a combined AGM and Social evening, more details to follow. Dancing to live band Petronella and Caller. Hot supper included and licenced bar. It has been a busy Summer with our volunteers beavering away on many different projects, so we thought we should send you an update. If you met us at Shambala 2014 then a warm welcome to you. Below are some things we hope that you will find interesting in, remember Transition is an open group, new volunteers are always welcome and your ideas are our life blood. Check our twitter feeds to keep up to date with what is happening locally. The Group meets next on Sunday October 5th and has its AGM & Social on Saturday November 15th. Contact us for more details. You are now on our mailing list to unsubscribe use the link at the bottom of the newsletter. Our annual apple day is returning for its third year on October 11th this time on the Town Square in the town centre. A chance to meet our dedicated volunteers and see our community owned apple press in action and maybe buy a share in the press for your own use. There will also be stalls from HIT Environment Group, Sustainable Harborough, Master Composters and Gardeners. Imagine walking along this former railway track surrounded by wildflowers and edible hedgerows, immersed in the sound of busy insects. This was our dream when we initiated this project with the participation of NCC, LCC, Leics & Rutland willdlife trust, Beds, Cambs & Northants wildlife trust and Sustrans. The pathway to the Shambala Festival ! The initial wildflower survey has been done and a more detailed survey will be starting very soon. Established in 2011 Foxton’s Seedy Sunday quickly became a popular event in the local calendar. The absence of the 2013 Seedy Sunday event led us to contact Meryl Cumber, who is pleased that the Transition’s volunteers are enthusiastically able to take over the event. As part of our work as a partner in the Sustainable Harborough project some of our volunteers have been helping deliver Harborough’s local food hub, an internet based shopping service for local food with a click and collect service based at the Admiral Nelson Pub in the Town. edibLE16 is now incorporated as a Limited Company, and they hope to launch the shopping site in October. You can register interest in being a customer producer or a volunteer via the website. A group of residents from Newcombe Street and Naseby Close (hence N2) that included two of our volunteers had been petitioning Harborough District Council since 2009 to take over a disused garage site. The idea was to buy it from the council and establish a community farm on the site. Though the council has tried to auction off the land, it is believed they didn’t get a good offer and a sale to the community may still be an option. So much has been going on recently with our volunteers beavering away in the background that we thought we should send you an update. Below are some things we hope that you will find interesting in, remember Transition is an open group, new volunteers are always welcome and your ideas are our life blood. Our annual apple day is returning for its third year on October 11th this time under the Grammar school in the town centre. A chance to meet our dedicated volunteers and see our community owned apple press in action and maybe buy a share. Imagine walking along this former railway track surrounded by wildflowers and edible hedgerows, immersed in the sound of busy insects. This was our dream when we initiated this project with the participation of NCC, LCC, Leics & Rutland willdlife trust, Beds, Cambs & Northants wildlife trust and Sustrans. The pathway to Shambala! edibLE16 will very soon be incorporated as a Limited Company, and hope to launch the shopping site in September. You can register interest in being a customer producer or a volunteer via the website. A group of residents from Newcombe Street and Naseby Close (hence N2) that included two of our volunteers had been petitioning Harborough District Council since 2009 to take over a disused garage site. The idea was to buy it from the council and establish a community farm on the site. A local group that formed including members of TTMH has recently announced that it has disbanded due to the unavailability of land in and around Market Harborough. Guy Fawkes is not the only one having a blast, if you can spare an evening from plotting, probably about the garden, then come and chat to some like minded individuals, we would love to meet you. The next Green Drinks will be on Wednesday the 6th of November at 7.30pm, a chance to renew friendships and wrap the year up as you mean to … with a Green BANG in your step. A quality and cosy lounge bar ideal for enjoying a drink with friends or work colleagues. The bar offers a lounge menu that is served throughout the day. Try our fresh strawberry afternoon tea in the summer or toasted teacakes in the winter, seated by a traditional log fire. Unsubscribe (http://transitionharborough.us2.list-manage.com/unsubscribe?u=c9cc66bef6aade33ead199510&id=bb6216dbcf&e=[UNIQID]&c=9e46f5a424) &lt;&lt;Email Address>> from this list. Copyright (C) 2013 Transition Town Market Harborough All rights reserved.